Barber then over-corrected, traveled across the highway and hit an embankment on the left side of the highway. Barber’s vehicle then went airborne, colliding with ground as her vehicle overturned and came to rest upside down. 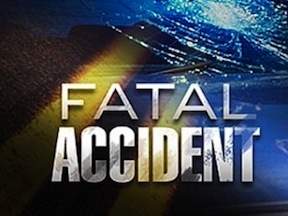 The MSHP says the Barber was pronounced dead at the scene. The MSHP also says that Barber was not wearing a seatbelt at the time of the crash. Funeral arrangements have been made. Click here for details.